Spending the night in a smart home is no longer a futuristic idea. In fact, major players in the travel industry like Airbnb have welcomed smart home technology with open arms. Explore why Airbnb has embraced smart homes as the way of the future. So what does this mean for travelers? 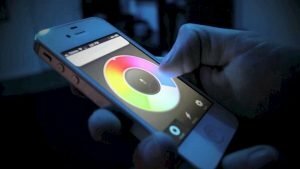 Are smart homes going to be replacing hotels? Will smart home technology make your next trip more expensive? We think the move to home automation is the best one travelers have made in a long time. Here’s why you should be looking forward to your next smart home stay. Did you know smart homes detect what room you’re in? That may worry those who are scared of big brother, but it also lets the home pamper each guest. The lights, air conditioning, sound system, and even door locks all work together to welcome you and make sure you enjoy your stay. Voice command through devices like Amazon Echo allows you to control the entire home. All smart devices including the thermostat and stereo are at your beckoned call. Better yet, that control is yours without lifting a finger. Standing outside the door of your vacation home waiting for the owner to bring the key is not a great way to start your trip. Smart locks allow the vacation home’s owner to unlock the door from anywhere. A fast check in lets you get in relaxation mode fast. And isn’t that what vacation is all about? Can’t find extra towels once you’ve settled in? Smart home tech, like the Vivint Ping ™ Camera, lets you call the host with the touch of a button. Think of it as a call to the front desk without the hassle. Staying in a smart home makes any vacation more enjoyable. And what’s not to like? 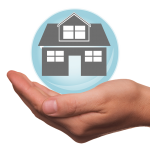 Smart homes provide unmatched comfort and convenience. 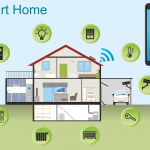 Find out how to turn your home into a smart home today. Are smart homes going to be replacing hotels? Will smart home technology make your next trip more expensive? Smart locks allow the vacation home’s owner to unlock the door from anywhere. Staying in a smart home makes any vacation more enjoyable. 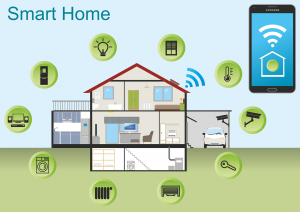 Smart homes provide unmatched comfort and convenience.